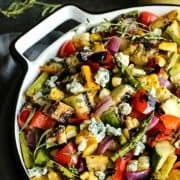 This Grilled Vegetable Salad features veggies charred to perfection and then drizzled with a bright-and-sunny herby lemon vinaigrette. Bites of creamy, salty blue cheese (or substitute Parmesan) are the finishing touch! Every summer, we seem to grasp onto a new-to-us salad or salad dressing. We end up liking it so much that we add it to the menu almost weekly, and especially when we’re entertaining. 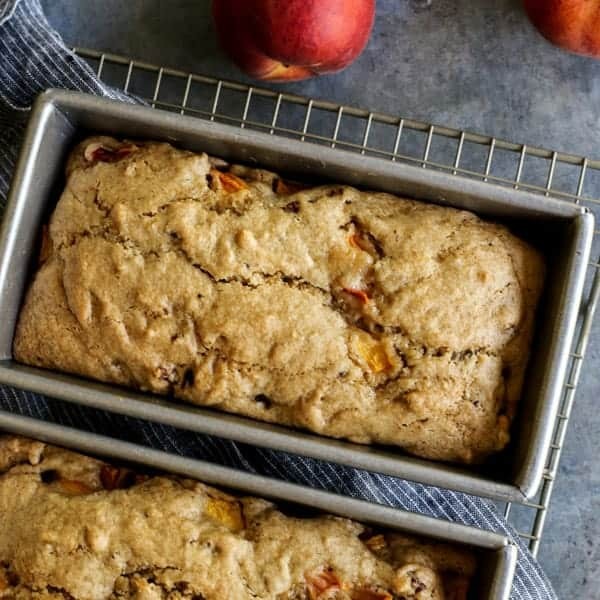 When I’ve watched our guests reach for second – and even third – helpings, I know for certain that we have a great all-around recipe on our hands. Past hits for our family have included Italian Chopped Salad in a Jar, Fresh Ginger Dressing, Grilled Romaine with Homemade Buttermilk Ranch, and Individual Caprese Salads (these are so fun to pack in school or work lunch bags!). I’m also quite fond of this Grilled Zucchini Salad with Lemon-Herb Vinaigrette. This has been the summer of the Grilled Vegetable Salad. 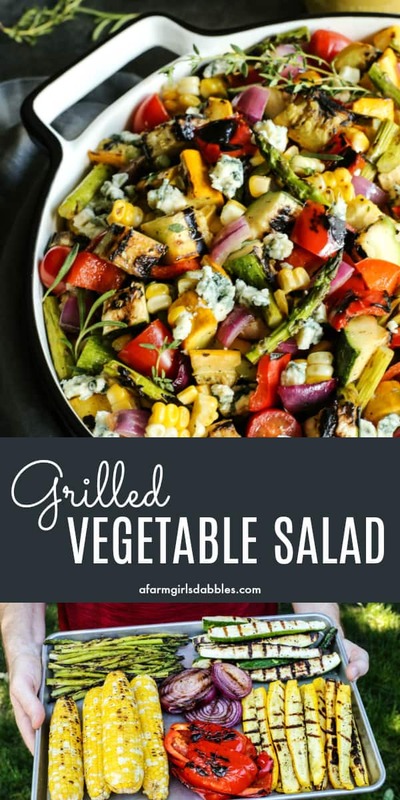 We char the veggies over hot grill grates and then toss them with an herby lemon vinaigrette. A sprinkling of blue cheese crumbles is the grand finale. This grilled salad is pure awesomeness. And a surefire way to get everybody eating their veggies. 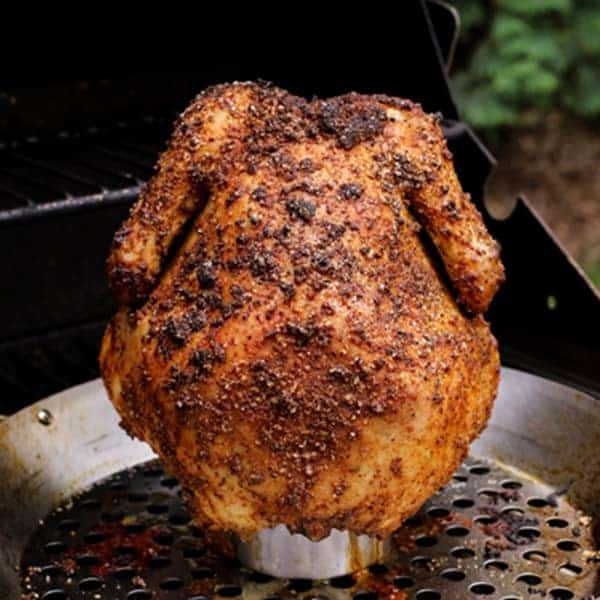 Serve it with this ultra tender and flavorful Beer Can Chicken for a meal entirely from the grill! And this is how we prep the vegetables for the grill. 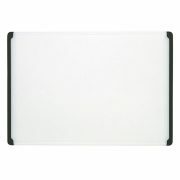 We wash up all the veggies, grab my favorite large cutting board, and start slicing! 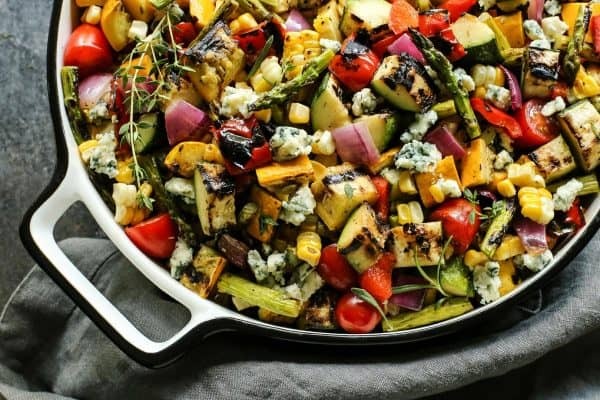 We place the prepared vegetables on a large rimmed pan. Then we drizzle them with a bit of olive oil, and use our hands to fold and coat the veggies evenly. The final step is to sprinkle them fairly generously with kosher salt and freshly ground black pepper. Hot off the grill for a unique vegetable salad! 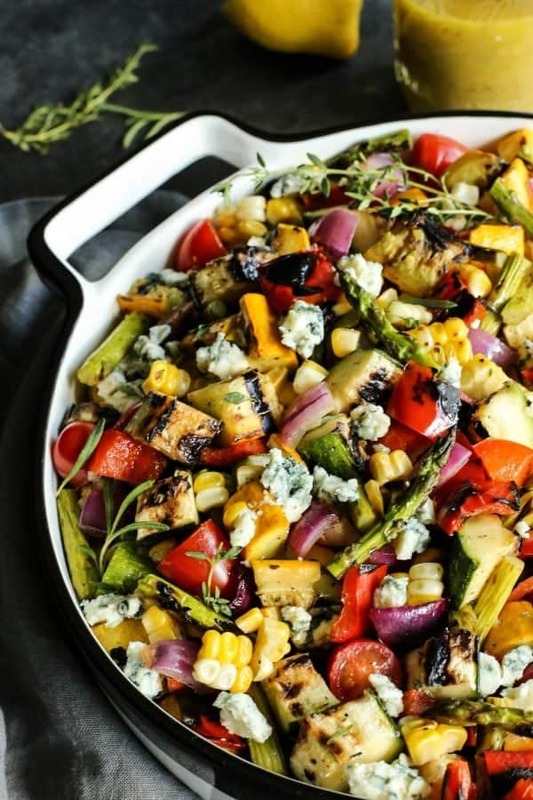 Cook the veggies on the grill until they’re beautifully charred and nicely softened. 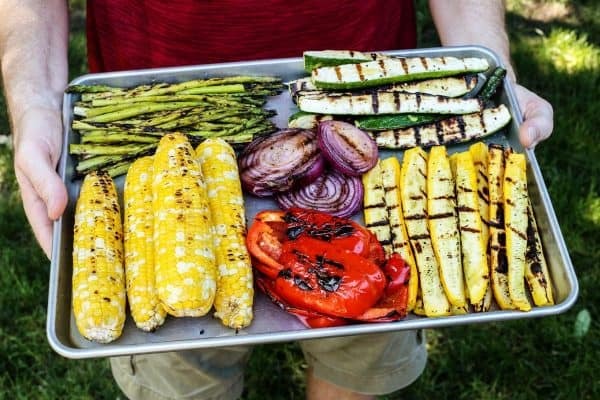 Every single time, I’m tempted to just eat all those gorgeous vegetables straight from the grill grates! 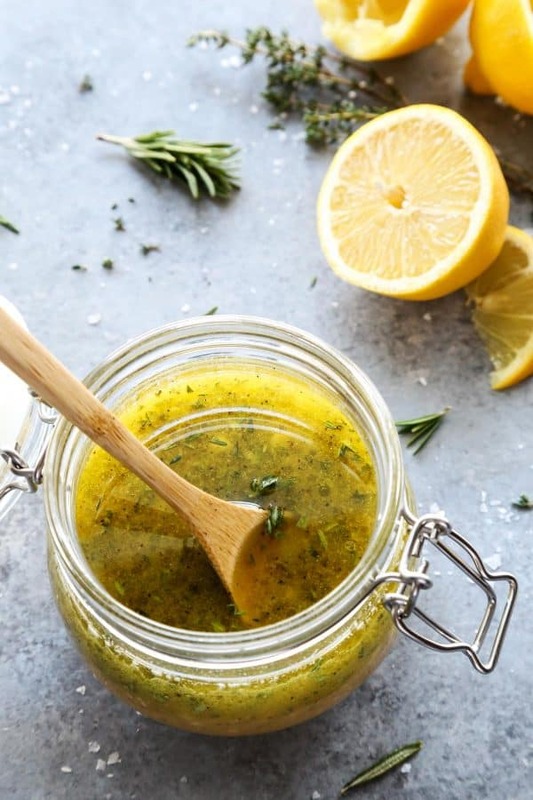 Chop the grilled vegetables and then drizzle them with this bright and sunny herby lemon vinaigrette. This citrus vinaigrette has tons of versatility. I like to dress a variety of salads with it, and even use it as a marinade for grilling. Use blue cheese (or Parmesan!) for this grilled salad! The grand finale for this grilled salad is a sprinkling of salty blue cheese crumbles. These creamy, pungent bites are like little prizes in this grilled veggie salad. You will LOVE it! Simply grab a block of your favorite Parmesan. With a vegetable peeler, shave off some big, wide pieces and substitute it for the blue cheese. The Parmesan definitely gives this grilled salad a little different vibe, but it’s still a very good vibe! Here are a few more grilled salad recipes I’d like to try: Grilled Peach Burrata Salad (so pretty!) from Nutmeg Nanny, Grilled Corn Salad from Recipe Girl, and Grilled Avocado and Tomato Salad from The BakerMama. 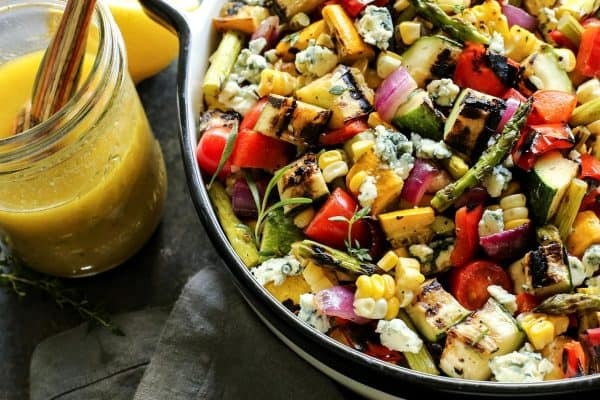 Veggies are charred to perfection and then drizzled with a bright-and-sunny herby lemon vinaigrette. Bites of creamy, salty blue cheese (or substitute Parmesan) are the finishing touch! 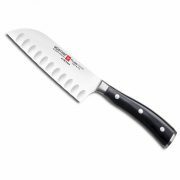 Here’s my favorite large cutting board and my favorite knife for recipes that involve alot of cutting and chopping. 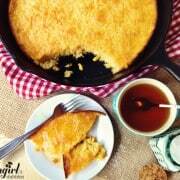 Place corn, yellow squash, zucchini, bell pepper, onion, and asparagus on a large rimmed pan. The pan will be very full. Drizzle olive oil over all vegetables. With your hands, gently fold the vegetables until they are all nicely coated with the olive oil, keeping the sliced rings of red onion intact. 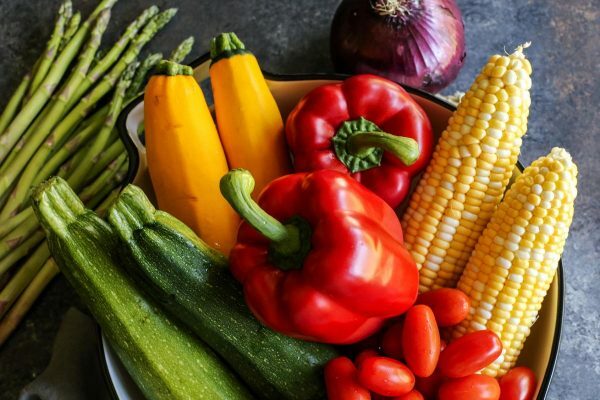 Sprinkle vegetables fairly generously with kosher salt and freshly ground black pepper, and fold again using your hands. Sprinkle one more time with kosher salt and freshly ground black pepper, and you’re ready to grill. 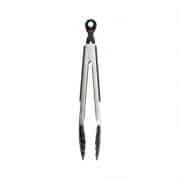 Depending on the size of your grill, you may need to grill in batches. 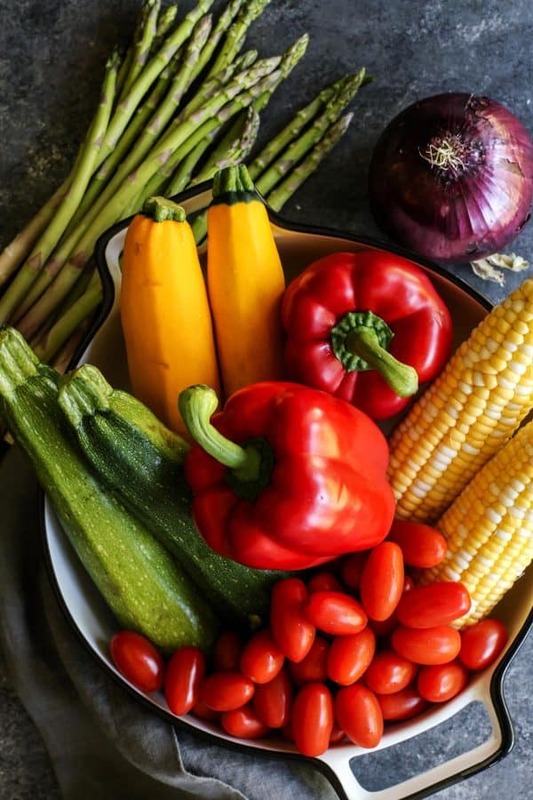 Cooking times will vary with each of the vegetables, so it’s just a matter of checking on them regularly and removing them when they’re done to your liking. I like the onion to get nicely softened, so that always takes the longest. I prefer the ears of corn to have some char, but to not be completely cooked – so we set the ears on the hottest part of the grill to get some quick char, and then remove them. The asparagus always cooks the fastest. Once the vegetables have charred and are cooked/softened to your liking, remove them back to the rimmed pan. 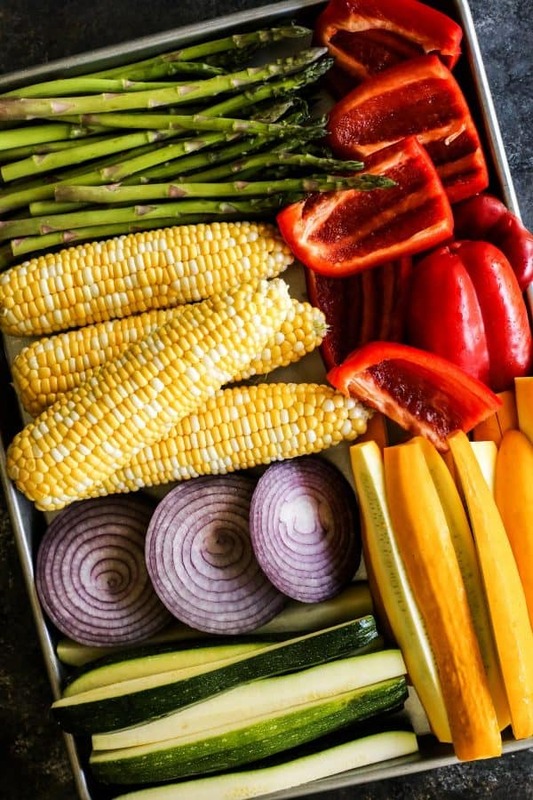 Once the vegetables have cooled enough to handle, cut the kernels from the corn and chop the rest of the vegetables into bite-size pieces. Place everything into a large-ish serving vessel – I like to use a low, wide bowl. Add the tomatoes and fold everything together. Drizzle with a bit of the herby lemon vinaigrette, and then fold. Add more vinaigrette if needed. Sprinkle with blue cheese. 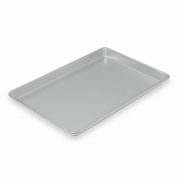 Serve just slightly warm or at room temperature. 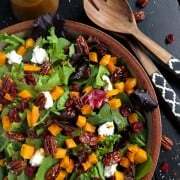 great recipe, thank you, nice to take advantage of summer vegetables and a nice change from lettuce, lettuce, lettuce as the base of almost every other salad! I think both of those cheeses would be wonderful as well! 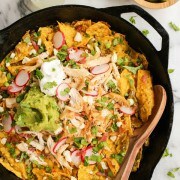 And YES, one of my favorite dishes of yours, thank you for sharing it!